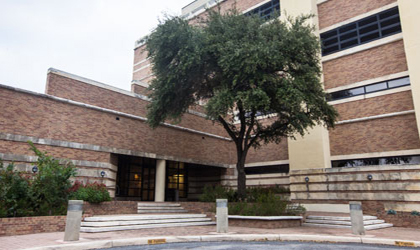 The Glenn Biggs Institute for Alzheimer's & Neurodegenerative Diseases at UT Health San Antonio is the first comprehensive center in South Texas dedicated to the study and treatment of Alzheimer's, dementia, and other neurodegenerative diseases. From diagnostic services using advanced brain imaging to neuropsychological testing and free counseling for our patients and their caregivers,we provide the Alzheimer's care our patients need every step of the way. 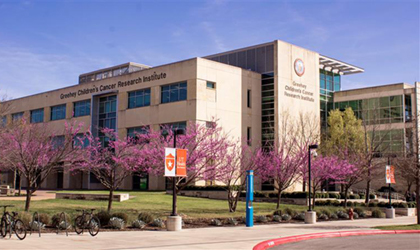 Greehey Children’s Cancer Research Institute’s (GCCRI) mission is to advance scientific knowledge relevant to childhood cancer, contribute to the understanding of causes of childhood cancer, and accelerate the translation of knowledge into novel therapies. Through discovery, development and dissemination of new scientific knowledge, GCCRI strives to have a national and global impact on the problem of childhood cancer. 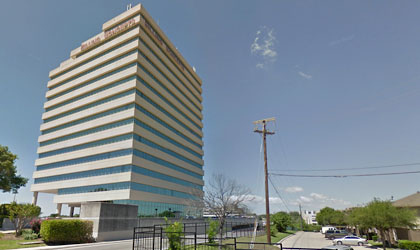 The Institute for Health Promotion Research (IHPR) at UT Health San Antonio is leading the charge to discover why Latino health disparities exist and communicating solutions to this population of over 55 million in the United States for the purpose of awareness, with a focus on the actions they can take to live longer, healthier lives right now. 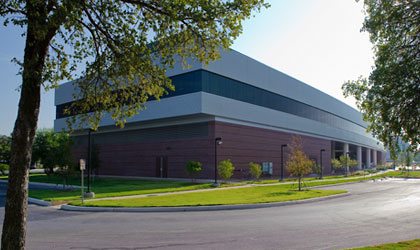 The Institute for Integration of Medicine and Science (IIMS), the academic home of the Clinical and Translational Science Award from the National Institutes of Health, has a vision to improve health and reduce disparities by accelerating scientific discoveries and applications across the full translational research spectrum. Together with nine regional partner organizations, the IIMS provides infrastructure and support for translational research through workforce development, research resources, pilot projects, clinical research units, and community engagement. 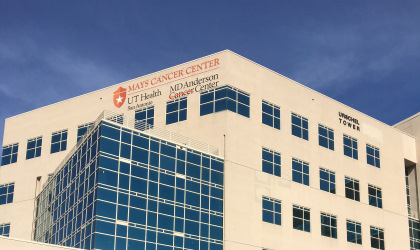 Mays Cancer Center is the region’s only National Cancer Institute (NCI) designated cancer center. Our research is focused on cancer development and progression, experimental and developmental therapeutics and population science and prevention. Our partnership with MD Anderson, brings greater access to MD Anderson's treatment protocols, standards of care, and select clinical trials. By combing our strengths, we are enhancing cancer care, spurring innovative cancer research, investing in new drug discoveries and strengthening our efforts to educate and train the next generation of leaders in cancer. 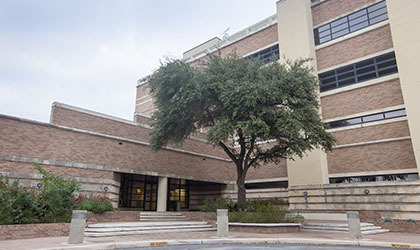 The Center for Research to Advance Community Health (ReACH) is a multidisciplinary collaboration of researchers and clinicians working to promote the health of South Texas residents. ReACH brings together researchers from diverse disciplines and community partners to evaluate quality of care and implement culturally appropriate models of care that will result in optimal health outcomes. 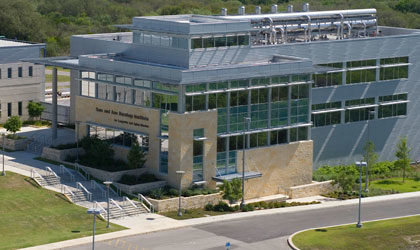 The Research Imaging Institute provides laboratories and computing facilities, allowing ready access to investigators from other departments and institutions. Through this open door policy, the Research Imaging Institute has developed an outstanding portfolio of inter-disciplinary, collaborative grants and a large and growing global network of collaborators. The Barshop Institute is one of the country's leading aging research centers working to enhance aging and longevity research as well as moving the basic science of aging towards the clinic. We are transforming perspectives on aging by building a bright and promising outlook for our elderly through research, discovery and healing. 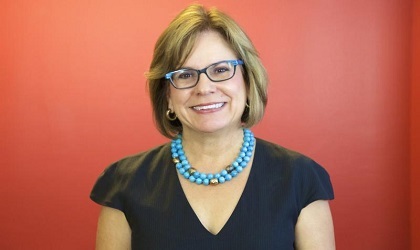 The South Texas Research Organizational Network Guiding Studies on Trauma and Resilience, or STRONG STAR, is a multi-disciplinary and multi-institutional research consortium which brings together more than 100 of the world's top research investigators from over 20 collaborating civilian, military and Veterans Affairs institutions.